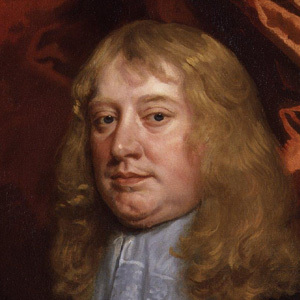 Abraham Cowley (1618 – 28 July 1667) was an English poet born in the City of London late in 1618. He was one of the leading English poets of the 17th century, with 14 printings of his Works published between 1668 and 1721. His father, a wealthy citizen, who died shortly before his birth, was a stationer. His mother was wholly given to works of devotion, but it happened that there lay in her parlour a copy of The Faerie Queene. This became the favourite reading of her son, and he had read it twice before he was sent to school. As early as 1628, that is, in his tenth year, he composed his Tragicall History of Piramus and Thisbe, an epic romance written in a six-line stanza, a style of his own invention. It is not too much to say that this work is the most astonishing feat of imaginative precocity on record; it is marked by no great faults of immaturity, and possesses constructive merits of a very high order. Two years later the child wrote another and still more ambitious poem, Constantia and Philetus, being sent about the same time to Westminster School. Here he displayed extraordinary mental precocity and versatility, and wrote in his thirteenth year the Elegy on the Death of Dudley, Lord Carlton. These three poems of considerable size, and some smaller ones, were collected in 1633, and published in a volume entitled Poetical Blossoms, dedicated to the head master of the school, and prefaced by many laudatory verses by schoolfellows. The author at once became famous, although he had not, even yet, completed his fifteenth year. His next composition was a pastoral comedy, entitled Love's Riddle, a marvelous production for a boy of sixteen, airy, correct and harmonious in language, and rapid in movement. The style is not without resemblance to that of Randolph, whose earliest works, however, were at that time only just printed. In 1637 Cowley was elected into Trinity College, Cambridge, where he betook himself with enthusiasm to the study of all kinds of learning, and early distinguished himself as a ripe scholar. Portraits of Cowley, attributed to William Faithorne and Stephen Slaughter, are in Trinity College's collection. t was about this time that he composed his scriptural epic on the history of King David, one book of which still exists in the Latin original, the rest being superseded in favour of an English version in four books, called the Davideis, which were published after his death. The epic deals with the adventures of King David from his boyhood to the smiting of Amalek by Saul, where it abruptly closes. In spite of these labours he did not refrain from literary industry. During his exile he met with the works of Pindar, and determined to reproduce their lofty lyric passion in English. However, Cowley misunderstood Pindar's metrical practice and therefore his reproduction of the Pindaric Ode form in English does not accurately reflect Pindar's poetics. But despite this problem, Cowley's use of iambic lines of irregular length, pattern, and rhyme scheme was very influential and is still known as English "Pindarick" Ode, or Irregular Ode. One of the most famous odes written after Cowley in the Pindaric tradition is Wordsworth's "Intimations of Immortality." During this same time, Cowley occupied himself in writing a history of the Civil War (which did not get published in full until 1973). In the preface to his 1656 Poems, Cowley mentioned that he had completed three books of an epic poem on the Civil War, but had left it unfinished after the First Battle of Newbury when the Royalist cause began to lose significant ground. In the preface Cowley indicated that he had destroyed all copies of the poem, but this was not precisely the truth. In 1697, twelve years after Cowley's death, a shortened version of the first book of the poem, called A Poem on the Late Civil War was published. It was assumed that the rest of the poem had indeed been destroyed or lost until the mid-20th century when scholar Allan Pritchard discovered the first of two extant manuscript copies of the whole poem among the Cowper family papers. Thus, the three completed books of Cowley's great (albeit unfinished) English epic, The Civill Warre (otherwise spelled "The Civil War"), was finally published in full for the first time in 1973. In 1647 a collection of his love verses, entitled The Mistress, was published, and in the next year a volume of wretched satires, The Four Ages of England, was brought out under his name, with the composition of which he had nothing to do. It contains elegies on Wotton, Vandyck, Falkland, William Hervey and Crashaw, the last two being among Cowley's finest poems, brilliant, sonorous and original; the amusing ballad of The Chronicle, giving a fictitious catalogue of his supposed amours; various gnomic pieces; and some charming paraphrases from Anacreon. The Pindarique Odes contain weighty Lines and passages, buried in irregular and inharmonious masses of moral verbiage. Not more than one or two are good throughout, but a full posy of beauties may easily be culled from them. The long cadences of the Alexandrines with which most of the strophes close, continued to echo in English poetry from Dryden down to Gray, but the Odes themselves, which were found to be obscure by the poet's contemporaries, immediately fell into disesteem. Soon after his return to England he was seized in mistake for another person, and only obtained his liberty on a bail of £1000. In 1658 he revised and altered his play of The Guardian, and prepared it for the press under the title of The Cutter of Coleman Street, but it did not appear until 1661. Late in 1658 Oliver Cromwell died, and Cowley took advantage of the confusion of affairs to escape to Paris, where he remained until the Restoration brought him back in Charles's train. He published in 1663 Verses upon several occasions, in which The Complaint is included. He is also known for having provided the earliest reference to coca in English literature, in a poem called "A legend of coca" in his 1662 collection of poems Six Books of Plants. Cowley obtained permission to retire into the country; and through his friend, Lord St Albans, he obtained a property near Chertsey, where, devoting himself to botany and books, he lived in comparative solitude until his death. He took a practical interest in experimental science, and he was one of those advocating the foundation of an academy for the protection of scientific enterprise. Cowley's pamphlet on The Advancement of Experimental Philosophy, 1661, immediately preceded the foundation of the Royal Society; to which Cowley, in March 1667, at the suggestion of John Evelyn, addressed an ode. He died in the Porch House, in Chertsey, in consequence of having caught a cold while superintending his farm-labourers in the meadows late on a summer evening. On 3 August, Cowley was buried in Westminster Abbey beside the ashes of Chaucer and Spenser, where in 1675 the duke of Buckingham erected a monument to his memory. His Poemata Latina, including six books "Plantarum," were printed in 1668. The poetry of Cowley rapidly fell into neglect. The works of Cowley were collected in 1668, when Thomas Sprat brought out an edition in folio, to which he prefixed a life of the poet. There were many reprints of this collection, which formed the standard edition till 1881, when it was superseded by Alexander Balloch Grosart's privately printed edition in two volumes, for the Chertsey Worthies library. The Essays have frequently been revived. This article uses material from the Wikipedia article Abraham Cowley, which is released under the Creative Commons Attribution-Share-Alike License 3.0. ( view authors).